Sell your DAVID SANCIOUS items on eBay ! Starting with the amazing symphonic Suite Cassandra, Sancious should marvel those symphonic rock fans that always fear the jazz tonalities: if one album could convert them, this might be it. Followed by the funky and energetic Come On, where Sancious' guitar leave nothing to envy to others, David veers into a calm Asian tune where Indian and Far-East music merges (this is fusion like we are not used to and the track's title East India confirms it) to some of Billy's percussions and chimes from Alice Coltrane. Herbie Hancock is not far away in this track. The inaptly-named Dixie is anything but Southern Dixie-jazz sounding (even if Sancious is making an anti-racist statement in this track) and presents another steaming fusion of styles, this time nearing Ponty's later 70's albums and some Tangerine Dream-like electronics, if you can picture that!!! With the title track comes the album's last lengthy track (a small 8 minutes and the start of the second side), where the mood is more into RTF and Chick Corea's world. A short funky Joyce is followed by a "Crystal Image"-clear classical piano. 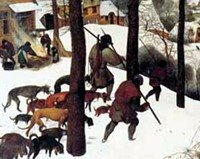 One Time plunges us into an Emersonian realm, but I think Keith would have to bow out, as he would've not managed to play (or write anyway) this classical piece with the jazz feeling that Sancious dares. Absolutely stupendous!! The title's track's reprise is again in the Ponty register.The album's CD version gets a bonus track, the short, ultra calm and reflective Promise Of Light, which blends in on the album quite well, but is nothing that special, but can serve as a very apt outro. If you notice, a lot of the references or comparisons I gave while describing the tracks date after this album's release, and if not on purpose, I don't think this is an accident either. Sancious seems to be much a precursor with this album, and it is about time that progheads take notice of this amazing keyboardist that unfortunately is never cited in top "prog" lists, and this is really a criminal omission. I had heard David Sancious on album for years before I found out that he was a member of Bruce Springsteen's E Street Band originally. I knew him for his fiery playing with Stanley Clarke, Lenny White, Jack Bruce and of course, his own albums. And this is one of his best. 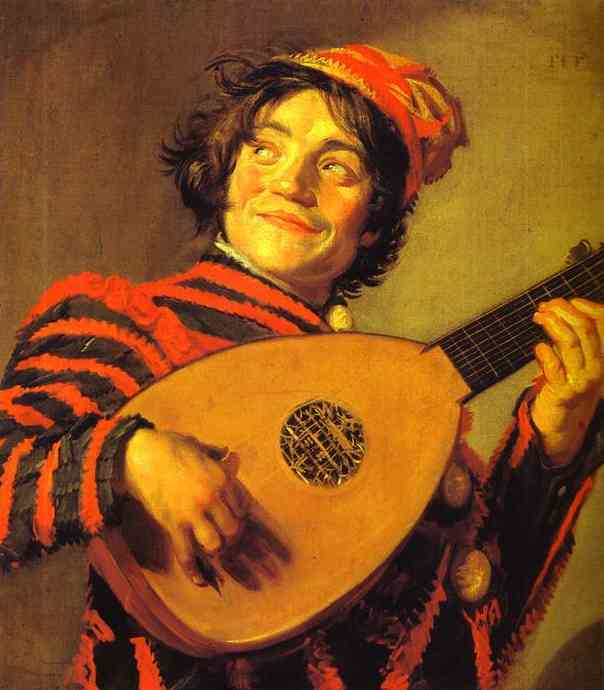 This album was his first solo endeavor. And it was produced by the great drummer Billy Cobham (who also plays tympani on a few of the tracks here). The album ranks up there with some of the best of the mid- seventies symphonic fusion greats. The best tracks are the Mahavishnu-like Suite Cassandra and The Forest Of Feelings. Both of these are complex and lush fusion pieces, with symphonic prog sections driving them along. Another highlight is the two-part Dixie, a minor key warping of the classic song, which descends into some wild electronic experimentation. It's a shame that Sony has allowed this gem to go out of print, as it should rank high in their fusion catalog. Talented American keyboardist David Sancious, born in 1953 in Long Branch, New Jersey, received classical education as a youngster, while he also taught himself guitar and in early-70's he moved to Richmond, Virginia, where he worked at Alpha Studios.Soon he became a member of Bruce Springsteen's backing group E Street Band, with which he spent two years.In 1974 Sancious and E Street Band-bandmate Ernest Carter left the band and formed Tone with drummer Gerald Carboy.Sancious & Tone debuted in 1975 with the album ''Forest of Feelings'' on Epic. The talent of Sancious is fully displayed in this first work of Tone and his wide influences from Classical Music to Jazz to Progressive Rock result a tight amalgam of sounds, that can only be described as Fusion.His main reference point seems to be a proggier WEATHER REPORT with alternating atmospheres from fiery and professional Fusion to more mellow moments of Jazz Rock.But the album contains also strong Classical-inspired themes and spacey keyboard parts, closer to the Progressive Rock lines.Sancious' work is dominant and impressive, including sharp and adventurous synthesizers blended with extremely inspired piano themes and smoother organ moves, while he also prooves to be an excellent guitarist when needed next also to the talents of Gerald Carboy and Ernest Carter.The faster and more energetic tracks have a strong progressive background, while the more one-dimensional pieces scan the differences between romantic Classical Music and easy-going Jazz.All of them though are well-composed and executed. I would dare to say that Sancious & Tone should be a guide for all modern Prog/Fusion trios. ''Forest of Feelings'' is the greatest proof.Dynamic, passionate still melodic keyboard-based Fusion of high quality.Highly recommended. 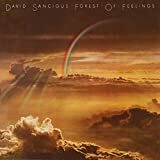 David Sancious' Forest of Feelings is an interesting look at what would happen if you took a fusion band and you parachuted into their midst a showboating keyboardist of the Keith Emerson school - the sort of guy who likes to spend a lot of time playing noodly, over-busy interpretations of classical music and old standards. I tend to find this sort of prog highly hit- and-miss - I find Emerson Lake and Palmer's quality control to be hugely variable, and I thought Beggar's Opera improved a lot on their second album where they moved away from this style of symphonic rock - but here I find Sancious does a credible job of keeping my interest and having a bit more to say than "Look! It's a classical standard, but on a MOOOOOOOG!" Now here's an album that deserves much more recognition than it has received this far! Hopefully the re-release by Esoteric Recordings continues to have some effect. The name of David Sancious is probably more familiar from the early Bruce Springsteen & the E-Street Band line-up, and from the album (or concert) credits of several artists such as Sting, Bryan Ferry and Peter Gabriel. He's primarily a keyboardist but he has played also guitar since his teenage years. While still in Springsteen's band, a record company man who had heard some old demos asked him if he was still writing music of his own. In August 1974 Sancious went solo and took his E-Street bandmate, drummer Ernest Carter, with him. Only the recruiting of bassist Gerald Carboy was needed, and with Billy Cobham as the producer - and adding some Timpani here and there - the trio recorded this excellent debut album. The instrumental music is lively and versatile Fusion with lots of influences from the (British) progressive rock and classical music. Comparisons can be made towards MAHAVISHNU ORCHESTRA and RETURN TO FOREVER. The nearly 9-minute opener 'Suite Cassandra' (she was David's infatuation and a cousin of Clarence Clemons) is one of the highlights with its sophisticated balancing between melodic tenderness and proggy energy. The second track is tight and funky, and is emphasized on David's electric guitar. Slow-paced 'East India' starts in a very delicate and impressionistic manner and increases Eastern flavour along the way. Very soothing and beautiful composition, which must have sounded too lame in the ears of those who expect fiery Fusion in the Mahavishnu style. I got an association to VANGELIS's China album (1979). Also 'Dixie', inspired by the civil rights movement in the Southern states, stays in the totally boundary- free area between jazz and rock. I'd like to mention my countrymen PEKKA POHJOLA and JUKKA TOLONEN as equally free-minded Fusion artists. The title track is the second longest (7:49) and guaranteed to please any friend of classically influenced Fusion. Acoustic piano takes the lead role at one point but the track's arrangement is rich. 'Joyce #8' is a brief, romantic composition for solo piano. Fast-tempo 'Crystal Image' is one of the jazziest moments in the album. Cheerful 'One Time' has lots of funk but also some amazing virtuosity on keyboards. 'Further in the Forest of Feelings' has many time-shifts and has more substance within three minutes than a 7-minute composition might have. Still it doesn't feel too rushed. 'Promise of Light' is another romantic piano piece in the classical style. This album maybe isn't quite an essential masterpiece, but skillful and enjoyable enough for me to round my 4½ stars upwards. Especially as it's relatively little known. 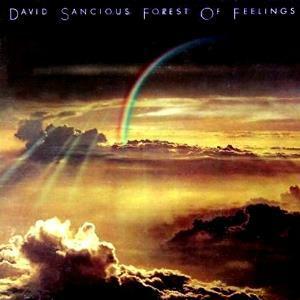 Post a review of DAVID SANCIOUS "Forest Of Feelings"